The Canny Colossus is our version of the Canny Collar made especially for larger breeds. See videos of dogs using the Canny Collar and how to fit it below. The Canny Colossus retains the original concept of the Canny Collar with its unique 'behind-the-head' design, simplicity of fit and ease of use, combining these with specially beefed-up components, including an industrial sized buckle, wider slip line and a wider, deep padded collar for added comfort. 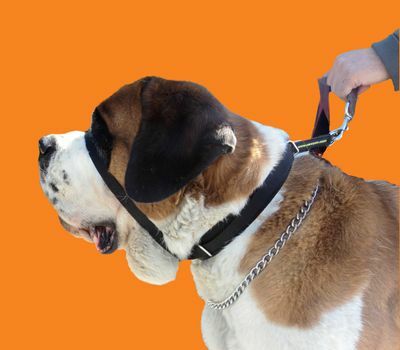 Owners of larger breeds such as Newfoundlands, Great Danes, Neapolitans, Pyrenean Mountain Dogs and St Bernards will now be able to walk their dogs without pulling on the lead, enjoying the same pleasurable walking experience as thousands of Canny Collar owners already do. Other giant breeds that the Canny Collar Colossus works great with are: the Mastiff, Black Russian Terrier, Leonberger, Irish Wolfhound, Bernese Mountain Dog, Dogue de Bordeaux, & Cane Corso. The Canny Colossus is available in black for dogs with a neck size of 58 - 69 cm (23" - 27"). The Canny Collar no pull collar is a simple dog training aid designed to stop pulling on the leash and make walking your dog a pleasure. Comfortable, kind, safe and effective, its revolutionary 'behind-the-head' design makes it easy to fit and simple to use, transforming even the worst pullers into happy, well-behaved pets. Although similar in appearance to other halter style collars, the Canny Collar works better than any other product we have tried for gently eliminating pulls and giving you control when walking your dog. Shortly after it was launched in Scotland, it was voted 'Best New Product' by the UK Pet Product Retail Association. The Canny Collar is recommended by vets and trainers worldwide to control difficult dogs. 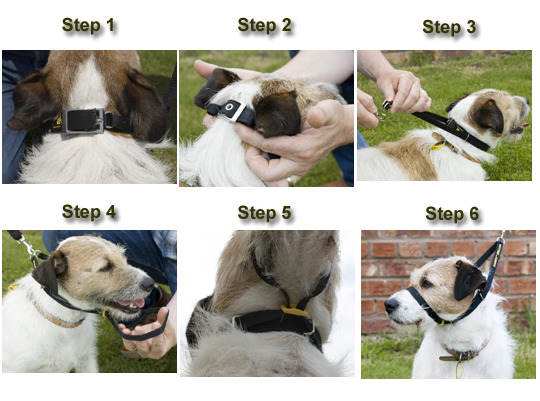 If you're looking for an easy solution to your dog pulling problems, look no further than the Canny Collar. Since the Canny Collar was launched, more than a quarter of a million dog owners worldwide have discovered the simple pleasure of walking their dogs on a loose leash. Join them today and make training your dog easy! Lifetime Guarantee - The Canny Collar is designed to go the distance - how many other training products give you a warranty for life? The manufacturer will replace any Canny Collar free of charge to the original purchaser, no questions asked, in the unlikely event that the collar fails due to a manufacturing fault or material defect. Easy to fit, simple to use - It's as easy as fitting your dogs regular collar. We use a standard, nickel-plated steel buckle and pin fitting for greater security and a simple line of high quality webbing to control your dog�s head. There are no complicated instructions, just fit it and go! Training, not restraining - The Canny Collar can train your dog to walk on a simple collar and lead with no pulling. By moving the slip line on and off your dog�s nose as required, you can gradually teach him not to pull at all, even when he feels nothing on his nose. You can leave it on when off lead - No need to take the Canny Collar off when letting your dog run free � simply use the carabineer clips to fasten the slip line underneath your dog�s chin (snout) and away he goes. More comfort for your dog - The Canny Collar is simply a standard collar, generously padded for comfort, with a single line of material (the slip line) going over your dog�s nose. This means he is free to breathe freely, open his mouth and enjoy his walk as much as you want him to. There is less material to restrict his mouth which also allows him to get used to the Canny Collar very quickly. This is the ultimate solution for dogs that pull and makes walking your dog a joy. I always used to see those people walking with their dog directly at their side and envy them; I thought to myself that my dog would never do that in a million years :) Now I am one of those people! My 80 lb Lab mix Parker was walking well on the leash on the very first time out. Watch the videos below showing him before and after the Canny Collar no pull dog collar. It is gentle on your dog which is a must for me. This is sooo much better than the prong collars and other devices that you get at the chain stores. I have tried them all and this is my personal favorite no pull dog solution. The Canny Collar has come a long way since it was first conceived by Brian Smith, an old-fashioned horseman and inventor from Crieff, a small town at the foot of the Scottish Highlands. Brian's compassionate attitude and his work with equine behavior problems led him to develop a special slip-line collar for Wallace, a difficult stallion for whom other more traditional collars were too painful. The new 'horse controller' worked instantly, giving Brian complete control of Wallace within a matter of minutes. He was also delighted to see that Wallace was experiencing no pain or discomfort. Brian realized that owners with dog behavior problems could benefit from his idea when his daughter, Claire, arrived home with her dog's harness snapped into several pieces after a 'walk'. Bonnie was the typical boisterous pet that enjoyed taking Claire for a walk, usually by dragging her down the street and which no piece of dog training equipment had been able to fix! Brian adapted his horse controller, fitted it onto Bonnie and the scaled-down dog training collar was immediately successful. Within 50 feet, Brian was walking Bonnie on a loose lead, to the amazement of everyone watching. Brian's wife, Nell, dubbed it 'uncanny' and the Canny Collar was born. After testing, adapting and putting the finishing touches to his new dog training collar, Brian toured the many fairs, horse shows and dog events in his native Scotland, quickly gaining a reputation for his product. It wasn't long before the Canny Collar attracted a wider audience in the world of dog training, resulting in Brian agreeing to work together with the newly formed Canny Company to give this new dog walking aid the worldwide recognition it deserves. Brian now devotes his energy to working full time with horses that have behavior problems. He has saved many animals whose owners had simply given up on them and which would otherwise have been destroyed. His knowledge, skill and ability to communicate with even the most difficult horse have led many to think of him as the Scottish Horse Whisperer. Dog owners and the world of dog training have a special man to thank for a very special idea. Step 1. - Fasten the Canny Collar around your dog's neck, ensuring the buckle is positioned just behind his ears at the back. Fold any excess collar and tuck it under the lip of the buckle. The Canny Collar should fit higher up the neck than a conventional collar, as shown. Step 2. - A snug fit is essential with any dog training collar to ensure it cannot come off your dog while walking. Test the Canny Collar by trying to pull it off your dog's head while facing him - if fitted correctly, this should not be possible. Step 3. - Pull each end of the thin slip line behind your dog's head and attach your leash to both 'D' rings at each end. Step 4. - Pull the slip line through the small yellow plastic guider at the front of the Canny Collar and place over your dog's snout. With some breeds, it may be easier to do this before attaching the leash. Take care not to twist the slip line before placing it over your dog's snout. Step 5. - Ensure you leave the plastic guider under your dog's chin. This is absolutely vital. If this plastic guider is not kept under the chin, the Canny Collar will not function correctly. Step 6. - Now you're ready to begin walking your dog using the Canny Collar. To begin walking your dog successfully on a loose leash with no pulling, you first need to ensure that you purchase the correct size of Canny Collar. Use the sizing guide to determine which size you need. A snug fit is essential to ensure that the Canny Collar cannot come off during a walk. Once you fit the Canny Collar, face your dog and try to pull it over his ears and off his head. If it can come off, you will need to fit it more snugly or change it for a smaller size. Put the Canny Collar on and go for a walk immediately. Keep your leash short but loose when walking and aim to have your dog in the 'heel' position. Using a short dog training leash will make this easier. Give him plenty of vocal praise when he begins walking well. The first time you put the slip line over your dog's nose, he may resist it and try to paw it off his face. Any dog training collar will cause this reaction for some dogs. It is similar to the feeling we have when wearing a wristwatch for the first time - some dogs are simply not used to it. You should continue walking so that your dog focuses on the walk rather than on the Canny Collar, lifting your leash when he paws at it and verbally encouraging him to follow you. Once your dog is walking, instantly lower the leash to release the pressure on the Canny Collar (you should also let him have some more leash here) and give him plenty of vocal praise whilst keeping walking. He needs to know that at some point in the walk, the pressure will be released; otherwise he may just continue to pull against it. Repeat this action if again he tries to remove the Canny Collar. Because the leash is connected behind his head, he will not be able to get a paw over the leash and bring the walk to a stop. Nor will he get the Canny Collar off his head if the leash is kept in the correct position. Sometimes you may need to let the leash out if he drops behind you, bringing it back in again once he catches up. Once any initial resistance to the Canny Collar has stopped, continue walking your dog for a short distance and then stop and give him plenty of praise. Use treats or clicker training if your dog responds well to these to accustom him to the Canny Collar. Walking your dog will become a pleasure again very soon! After countless dog classes and private training lessons I had almost given up facing the hard truth that my dog will always be crazy on a leash and pull. After browsing your website I found what I was looking for then I browsed the collars section. I came across the Canny Collar enlarged the picture read the description I figured couldn�t hurt to purchase and try it�. I received yesterday and I just love the collar� I have tried the head halter, gentle lead, every pull resistant harness, pincher collar everything. I can have a garage sell on dog walking products on which none have worked for me. I have a 3 year old 70 lb Blue Nose Pitbull, female; nice and just is the sweetest dog but she has leash issues hates to be on any leash or restraint. I read the directions put the collar on and walla; I have a new dog � she was mad and tried everything she could to get it off her nose, bite the leash couldn�t do it. It took no time for her to realize that she was defeated. The amazing thing about this collar is they can�t remove the nose strap or bite the leash and the position of the collar high up on the neck behind the ears makes a big difference. It is amazing and it works. My daughter and bike a lot and walk her a lot and my 8 year old daughter is able to walk Lucy without any problem. I am impressed and amazed at the results with in 24 hour period. Thank you!!!!" - Linda W.
"Thank you for making my daily dog walks a pleasure instead of a nightmare! We recently acquired a lovely two-year-old Bullmastiff from a rescue home which had been house trained but unfortunately had no obedience training whatsoever. This meant that walking her was such an effort (so much so that I'm sure my arm nearly came off on more than one occasion! ), embarrassing and in no way a pleasure. It also crossed my mind that anyone passing me barely controlling a large, powerful dog might be frightened or even complain - possibly resulting in her being 'dealt with'. I'm in no way exaggerating when I say that within one minute of using the Canny Collar, Lexi was a different dog. Yes, she didn't really like the strap across her nose (although it was clear it didn't hurt her) and tried to knock it off with her paws, but she was transformed. Whereas she would strain against her choke chain as hard as she could, criss-cross in front of me (highly annoying) and generally run amok, now she trots alongside me and doesn't even bother even trying to go off and explore. I now just let the lead handle rest in my fingers, instead of having to make sure it was looped around my wrist in case she pulled out of my grip. I'm so grateful and will thoroughly recommend the Canny Collar to anyone. 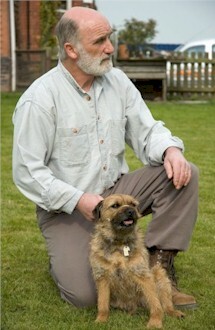 "Just wanted to drop you a line to tell you how impressed we are with the Canny Collar we bought yesterday at Crufts. We have two dogs, a six-year-old collie cross and a 10-month-old 60kg (yes really!!) Newfoundland. Usually my fianc� walks the Newfie and I walk the collie, due to me being 'vertically challenged' and her weight being nearly as much as me. However recently he got a back injury which meant he has been unable to walk the Newfie. Because of her strength, I have also been unable to walk the dogs often so they have not had their regular walks while my fianc� has been recovering. We bought our Canny Collar and decided to try it out this afternoon. Within five minutes I was able to walk our Newfie down the street without being pulled off my feet! My fianc� also walked her for a while and was fine even with his bad back. We got back from our walk without feeling as if we had run a marathon! "I purchased a Canny Collar from you for my 8 year old staffie lab cross and just wanted to thank you for such a wonderful product. I have tried every other means possible to stop her from pulling on the lead and nothing ever worked. The new collar arrived this morning and I put it on her to take her for a walk and for the first time in 8 years we actually had a walk instead of my being pulled the whole way. My 10 year old daughter has never been able to walk Pippa as it wasn't safe for her to do so as Pippa would drag her to wherever she chose to go and my daughter wasn't strong enough to stop her. My daughter was able to walk Pippa this morning and had her walking to heel. It was a wonderful sight to see.